An all-in-one onboard POS for experience focused selling that provides flight attendants with passenger information right at their fingertips, modeled after on-ground retail best practices. 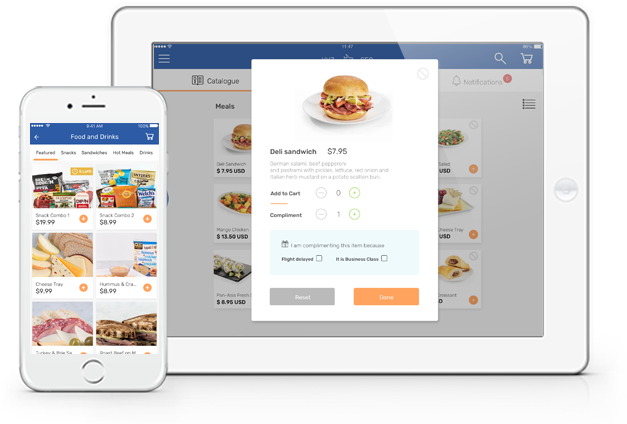 A better onboard retail solution. Improve onboard retail with a branded point of sale solution that allows flight attendants to easily make sales, track inventory, process payments, and more in any state of connectivity. Accept multiple types of payments onboard, supporting the needs of customers in 144 countries on all 6 continents. Set alerts for when campaigns are running. Pop-ups within the app ensure that flight attendants always know what promotions are available for passengers in real time. The Guestlogix app runs on your favorite iOS or Android device. Hook it up with your preferred payment peripheral or one from our list of recommended vendors for simple transactions. Create an attractive and intuitive catalogue that will let your flight attendants conduct onboard sales easier than ever. Import images of your product, provide detailed descriptions, and set notifications for promotions, letting flight attendants service the plane faster and more efficiently. A visual representation of the plane lets flight attendants quickly see which seat passenger orders are coming from. They can see what was ordered, track when an order was delivered, see what type of payment is required, and cancel pending orders. Passenger profiles give flight attendants passenger info right at their fingertips, allowing them to personalize their service. 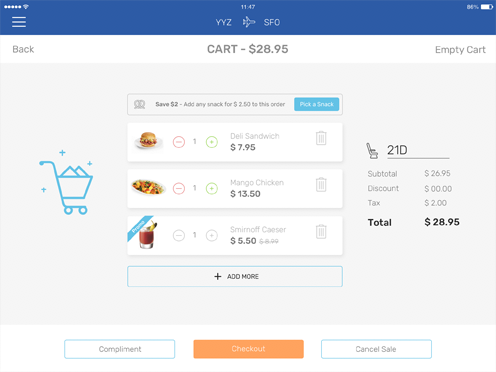 Flight attendants can compliment individual items or complete orders with just one tap. 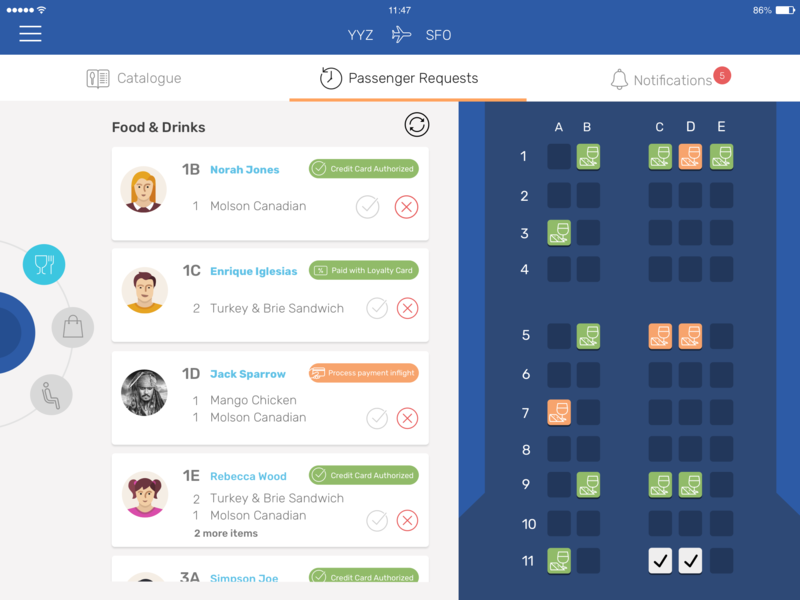 Pre-determined compliment reasons can be added to the app – like delayed flight, passenger birthday, or any other scenario – so flight attendants can track each compliment accurately. 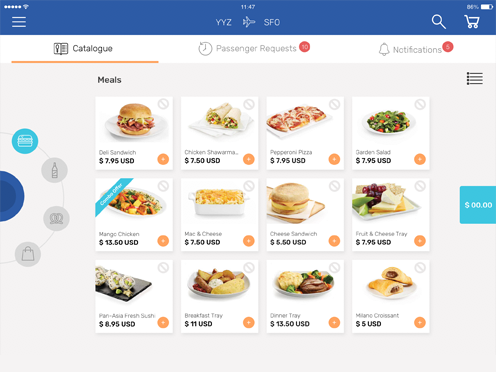 See the full list of features for the Flight Attendant POS.